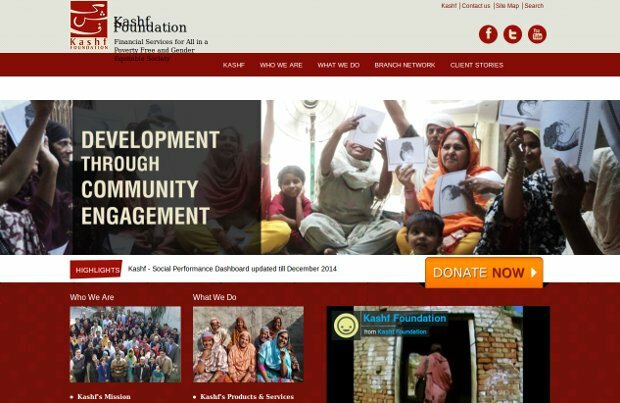 Kashf Foundation is Pakistan’s premier wealth management company for low income households which was created with the aim to alleviate poverty by providing a suite of high quality affordable financial and non-financial services to low income households, especially women, in order to build their capacity and enhance their economic role. Even though Kashf began its journey as a microfinance institution, today it is positioned as a wealth management group since it provides a one window solution to its clients for protecting and managing their wealth and enhancing their productivity and resources. Kashf was started in 1996 as an action research program, and over the course of its evolution, Kashf has been able to help hundreds of thousands low-income households, especially women, to lead lives of dignity through economic empowerment via financial access. Kashf’s products and services are especially designed keeping in view the clients « business and life-cycle » needs.